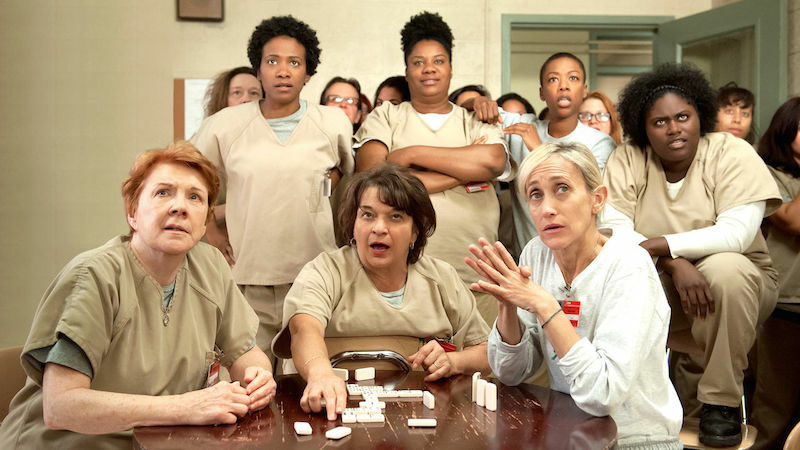 Hackers leak new season of 'Orange is the New Black' after Netflix fails to pay ransom. Season five of the hit Netflix series Orange is the New Black was scheduled to hit the streaming service on June 9. But a group of hackers calling themselves "The Dark Overlord" appeared to have stolen the unaired episodes and was threatening to release them early—if Netflix didn't pay up. "It didn't have to be this way, Netflix," the hacking group wrote in their press release. "You're going to lose a lot more money in all of this than what our modest offer was. We're quite ashamed to breathe the same air as you. We figured a pragmatic business such as yourselves would see and understand the benefits of cooperating with a reasonable and merciful entity like ourselves. And to the others: there's still time to save yourselves. Our offer(s) are still on the table—for now." Neither Netflix or any of the other alleged hacking targets have commented on these latest developments, but one thing is clear: If The Dark Overlord gets caught, they could all be wearing orange themselves pretty soon.